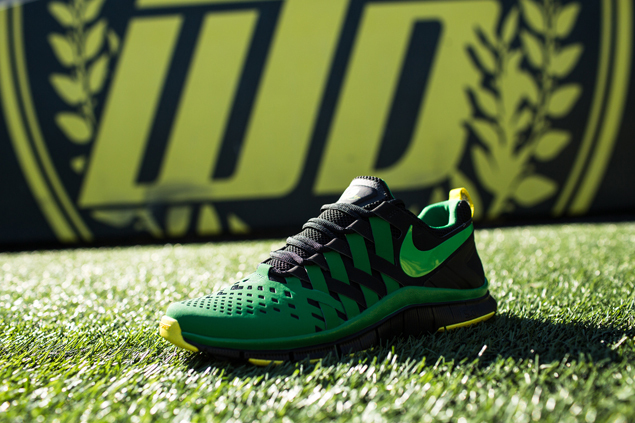 Ducks fans, find out when you can grab the latest Oregon Nike Free Trainer 5.0. 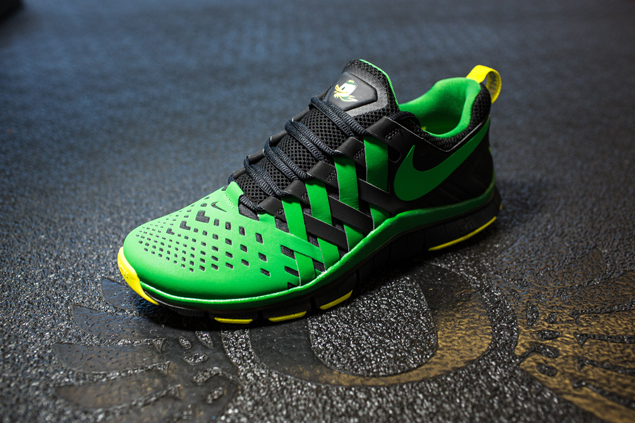 Originally reported as releasing on November 30th, the latest Nike Free Trainer 5.0 featuring an Oregon Ducks makeover will now make it to retail one week early, dropping tomorrow, November 22nd. 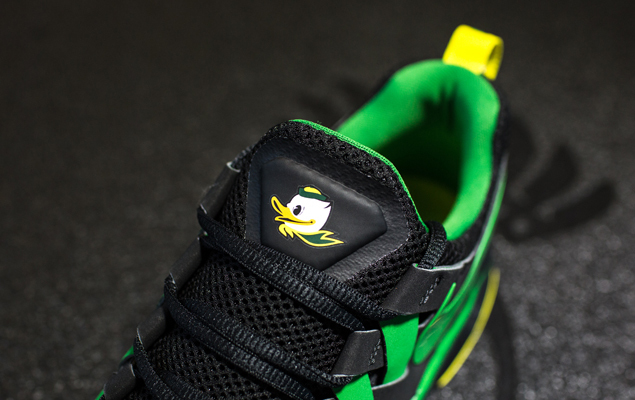 A special Oregon edition Free Trainer 5.0 released earlier this year in a white/iridescent green colorway, and now this pair goes for more of an "Away" look in black and Oregon-green, accented with yellow and plenty of Ducks logos. 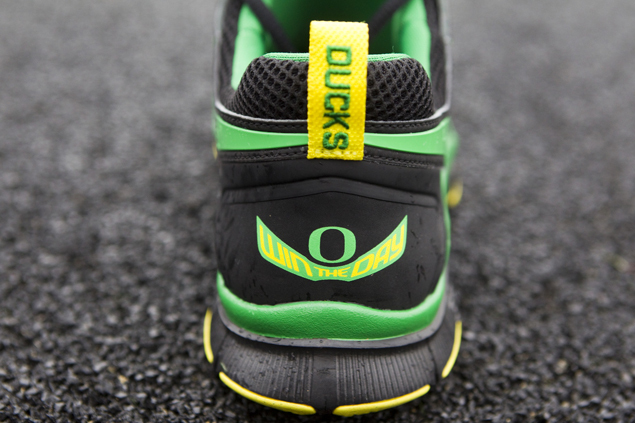 Get one last look below, and expect them available in Nike Store tomorrow morning at 8 AM EST.